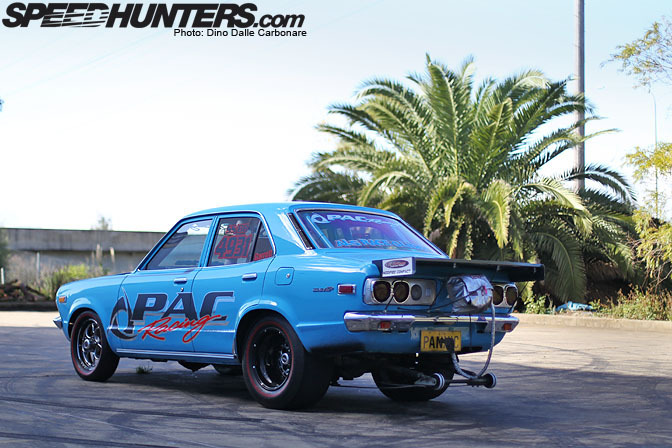 Our visit at Pac Performance couldn't have ended without a detailed look at one of the fastest customer RX-3's that Rocky and his team have built. Let me introduce you to Pannic. 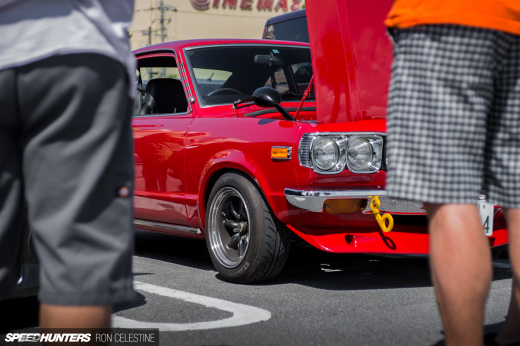 This little 4-door RX-3 was initially, probably like most projects of this nature, built as a fast street car. 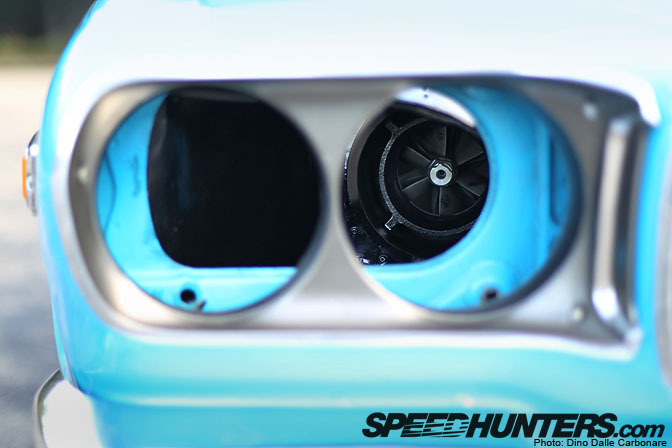 The owner wanted a rotary beast capable of laying down consistent 9-second passes whenever he headed to the Sydney Dragway for a bit of fun. 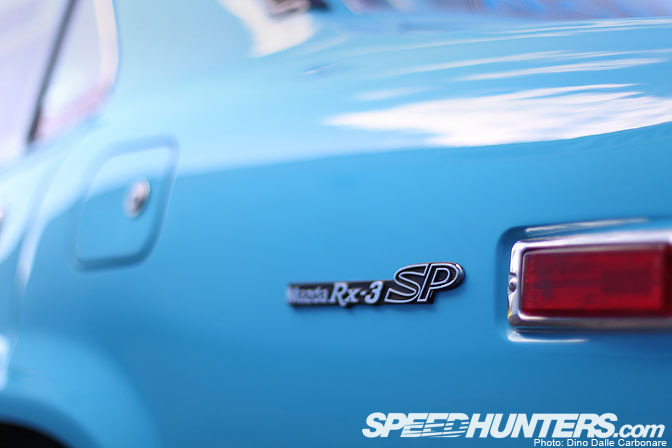 Rocky created just that, but as time went by the need for more speed inevitably came. 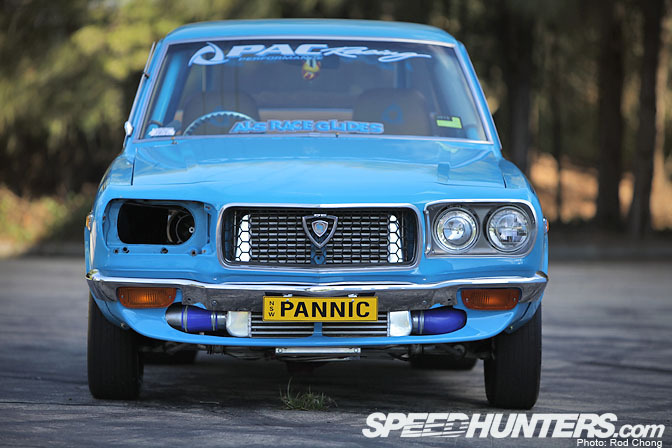 Pannic still remains a "street registered" car, but the jump to get it into the 8-seconds called for a more purposeful drag-racing set up. 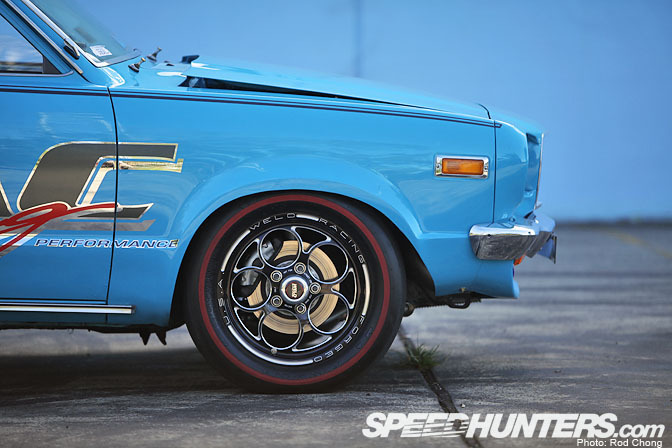 The car sits high at the rear on its big Mickey Thompson drag slicks, the low-slung spoiler and Simpson shoot indicating that this RX-3 means serious business. 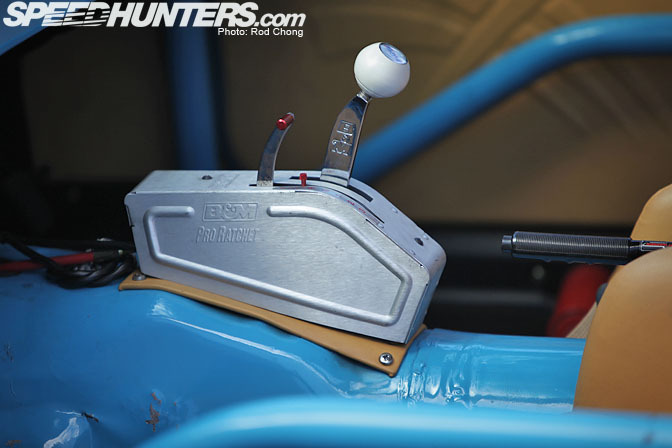 Having been initially put together as a fast road car, Pannic has the sort of interior that most wouldn't expect, the custom dashboard lined in Stewart Warner instrumentation and switchgear. The Toyota Supra gearbox it was running before has been replaced with an automatic transmission actuated via the B&M Pro Ratchet shifter you see here. 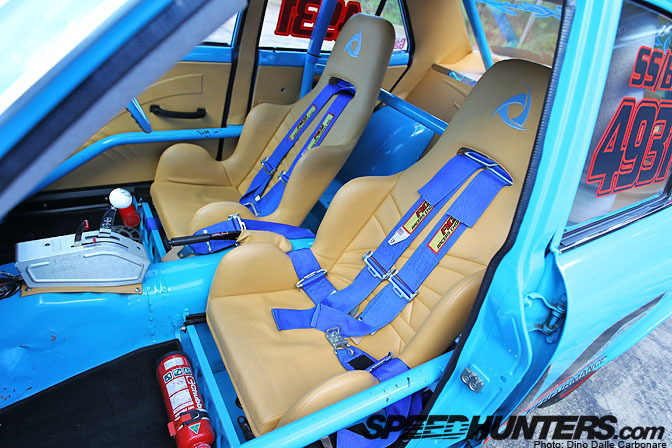 PAC Performance really went to town on the interior with a pair of comfortable bucket seats and full leather upholstery. The seating position has been shifted back in the tiny cabin, almost into the area where the rear bench used to be. The rear doors still open but there is only roll-cage and tubbed wheel arches to see back there! 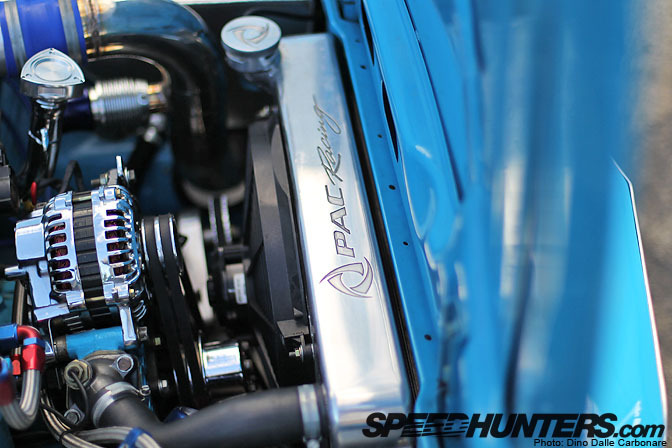 Powering the little sedan is a powerful PAC-built 13B, neatly fitted into the tiny engine bay. …while the big Garrett has all the fresh air supply it will ever need coming in through the opening where the driver-side headlight used to once reside in. The chassis has been massively strengthened all the way through. There is even enough trunk space for a couple of bags! 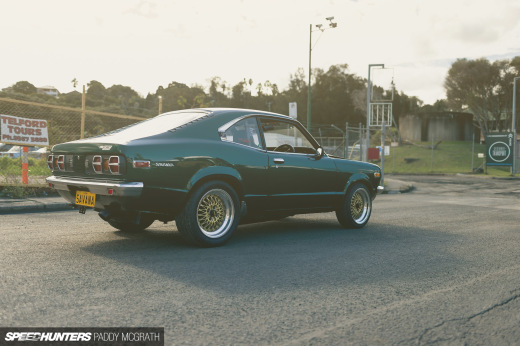 Australians sure do love these little RX-3s! Dropping a massively powerful engine into a little car like this will inevitably put the chassis through a lot of stress. 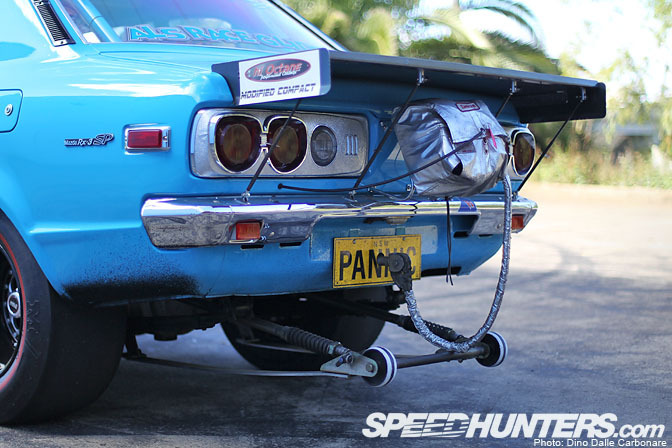 Take a look at this video to see how much work the wheelie bars have to do as Pannic pulls consistent 8-second passes at the Sydney Dragway. It can almost pass for a reasonably stock looking car from this angle! Rocky and the guys at PAC Performance created something very unique with Pannic. 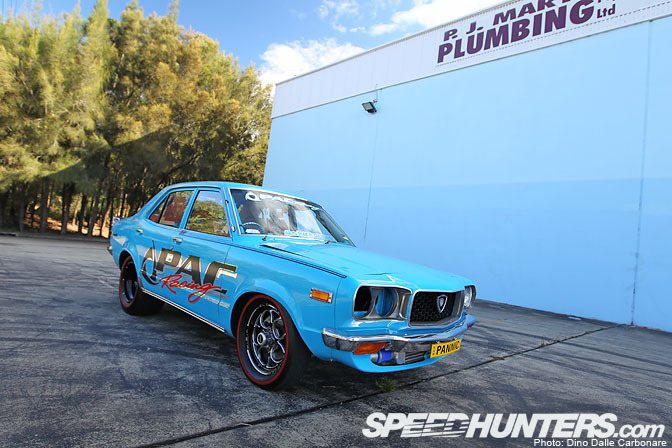 It's cars like this that help define the obsession with speed and power the Aussies seem to have. Your guys' drag month coverage is awesome! Where else will you find drag cars from this many different manufacturers?? 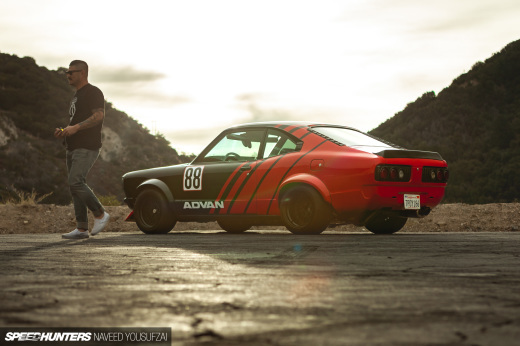 what a sik rx3!! have loved them since high school... it's so sad that they are so rare in Japan. 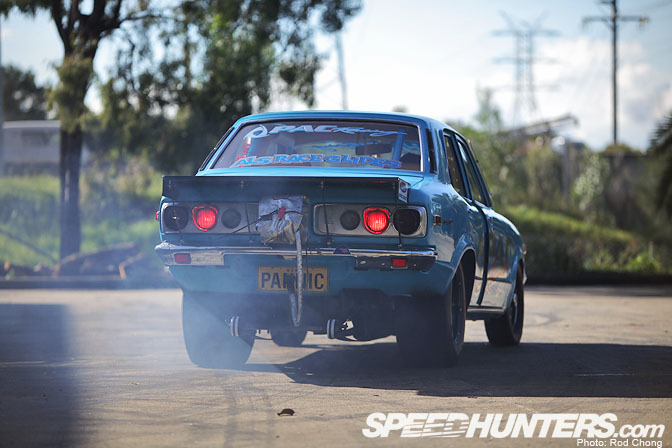 thats one of the few good things about Aus.. they still have old rotors!! nice colour.. love the interior!